The summer seat of Duchess Elisabeth Friederike Sophie von Württemberg (1732-1780) is a masterpiece of garden design which combines various styles: the rococo style, the sentimental landscape style and the mixed style of the 19th century. 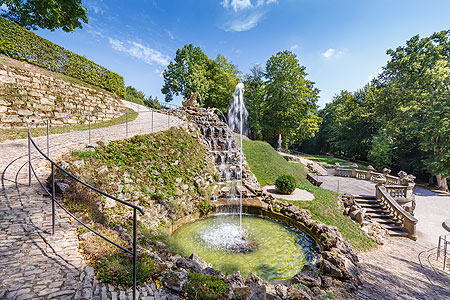 The Museum of Garden Design opened in the palace in July 2000 documents the many complex aspects of German garden history with particular emphasis on the gardens of South Germany in the 18th and 19th centuries. Bus to "Donndorf Hotel Fantaisie"